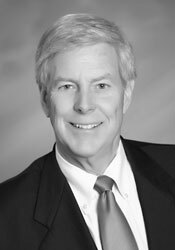 Bill Seelbach has over 30 years experience with direct investments, business governance, C Level management, and oversight of operating businesses. He also has experience as a fourth generation member of a significant family owned business in the metal products manufacturing industry. Mr. Seelbach is Senior Managing Director, Direct Investment Execution & Oversight of FODIS. He is one of our practice leaders involved in client engagements related to the growth and development of operating businesses, and those with certain Family Offices and Family Business Holding Companies who need our assistance with Family Office Direct Investment Services (FODIS) and Private Company Equity Oversight (PCEO). He has considerable experience with business governance and oversight, strategy development and implementation, acquisitions, and operations improvement primarily for manufacturing businesses. Prior to joining FODIS, Mr. Seelbach served as an Operating Partner and Senior Advisor with The Riverside Company, the country’s largest private equity firm focusing on the smaller end of middle market companies. During Mr. Seelbach’s six years with Riverside, he assisted with numerous due diligence efforts, served on the Board of several portfolio companies, carried out a variety of consulting projects related to the growth and development of portfolio companies, and functioned as an interim CEO. From 2003 through 2006, Mr. Seelbach was the President and CEO of the Ohio Aerospace Institute (OAI). OAI is a non-profit organization whose mission is to build Ohio’s aerospace economy through research and technology development partnerships, education and training programs, and networking and information exchange. From 1998 to 2002, Mr. Seelbach was the President and COO of Brush Engineered Materials Inc. (now named Materion). Materion is a NYSE company focused on high performance engineered materials. Within Materion, Mr. Seelbach had direct responsibility for all of the company’s beryllium and performance alloy businesses and all of Materion’s international operations. Materion’s beryllium and performance alloy products serve a wide variety of industries, including telecommunications, computer equipment, automotive electronics, oil and gas exploration, and aerospace and defense. Prior to joining Materion in 1998, Mr. Seelbach was the Chairman and CEO of Inverness Partners, a limited liability company whose purpose was to acquire midwestern manufacturing companies. Founded in 1987, Inverness Partners bought a number of companies and ultimately formed Inverness Castings Group (ICG), one of the largest independent die casting companies in North America. ICG served as a Tier 1 supplier to the automotive, office furniture and appliance industries. During his tenure as Chairman of Inverness Partners and ICG, Mr. Seelbach was very active in acquisitions, strategic planning and operations improvement. Prior to founding Inverness Partners, Mr. Seelbach served as the Chief Operating Officer of a financial holding company for a large family office, where he oversaw a broad range of asset managers. From 1975 to 1986, Mr. Seelbach was a member and then a partner with the international management consulting firm of McKinsey & Company. During his 11 years with McKinsey & Company, Mr. Seelbach assisted a wide range of industrial and consumer goods companies in strategy, organization and profit improvement. Typical assignments included development of corporate and division level business strategies for an electrical products manufacturer, an aerospace company, and one of the country’s largest brewers. In addition, Mr. Seelbach led reorganization efforts for several multi-billion dollar corporations, including a major rubber products company and a major steel products company. From 1982 to 1984 (while on leave from McKinsey & Company), Mr. Seelbach was the founding President of Cleveland Tomorrow, an economic development organization composed of the CEOs of Cleveland’s 50 largest for-profit businesses and organizations. During his tenure as President, Mr. Seelbach and Cleveland Tomorrow created a major venture capital fund (Primus Capital Fund), started a major business/university consortium to develop new manufacturing technologies (Cleveland Advanced Manufacturing Program), and set up an organization to provide consulting assistance and incubator space for high-growth new ventures (Enterprise Development, Inc.). Mr. Seelbach continues to be actively involved in the Cleveland community He is currently on the Board of Trustees at Playhouse Square Foundation, the Great Lakes Science Center, Jump Start, University School and University Circle, Inc., and is heavily involved in the Fund For Our Economic Future. Mr. Seelbach is also a member of the Board of Directors at OMNOVA Solutions (a NYSE company). In 1992, Mr. Seelbach received the regional Entrepreneur of the Year Award from Ernst & Young, Merrill Lynch and Inc. Magazine. Mr. Seelbach holds an M.B.A. from the Stanford Graduate School of Business and a B.S. degree in Electrical Engineering and Operations Research from Yale University.